Every new barn quilt begins the same way – with a blank square of wood. I love researching quilt patterns and combining colors. I have painted nearly 100 wooden quilts to date, and have enjoyed the process for every one of them. I also love to produce commissioned quilts using my patrons’ favorite patterns and colors. 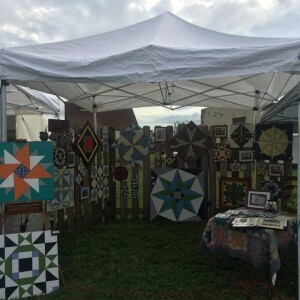 We usually begin by looking at photos of quilts I have already painted. 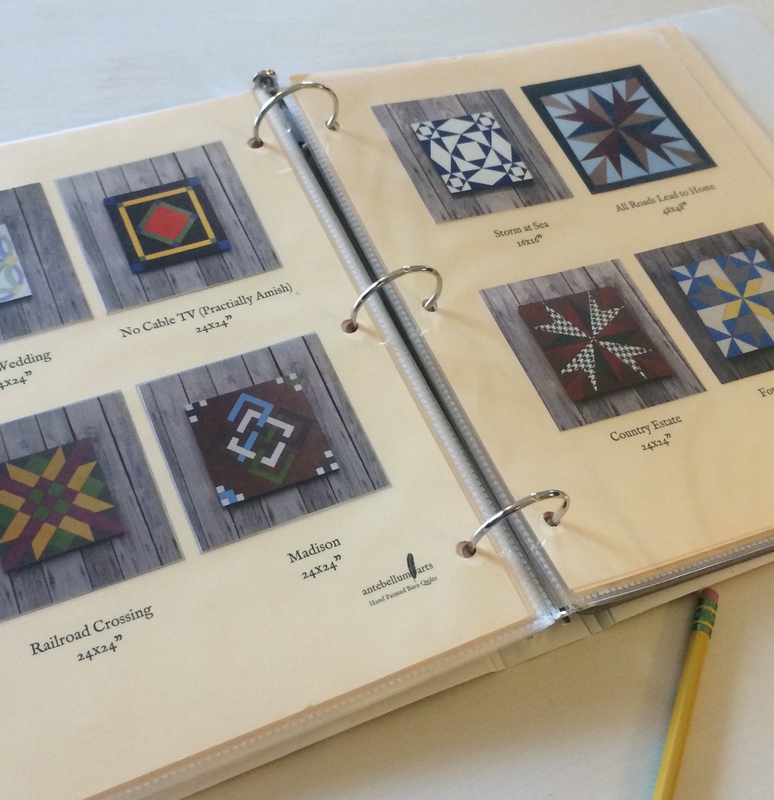 Sometimes, a project I have done in the past will catch someone’s eye, and sometimes a patron comes to me with a meaningful quilt pattern of their own. I am always eager to work out something new! The next step is deciding paint colors. I have a well-stocked paint cabinet (OK, it is a re-purposed gun cabinet), and we can usually find a pleasing color combination. 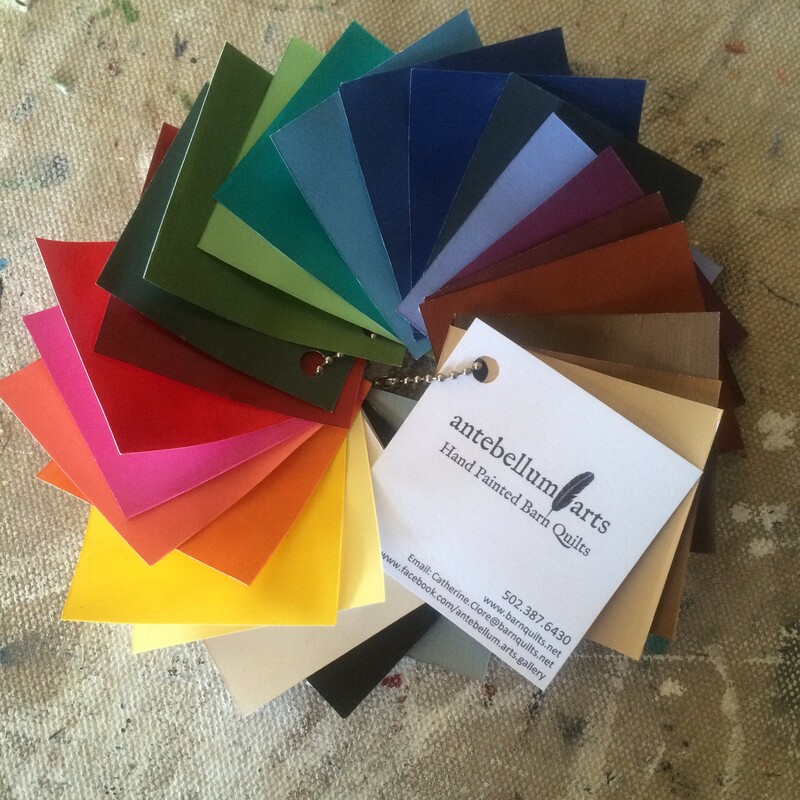 If a patron has a custom color in mind, such as a trim paint to match, I am always glad to add to my library. 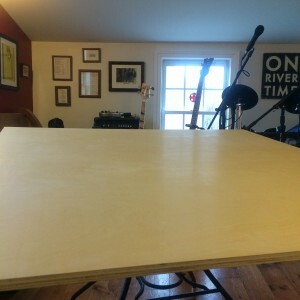 Finally, we talk about what size best suits their space. I have painted large quilts for large structures and focal points, and tiny ones to tuck into pleasant places.